The tradition of the Chausath (64) Yogini temples is another one of the innumerable fascinating aspects of hinduism and its divine yoga culture so rare and different and so much more complex than any other religious inheritance. 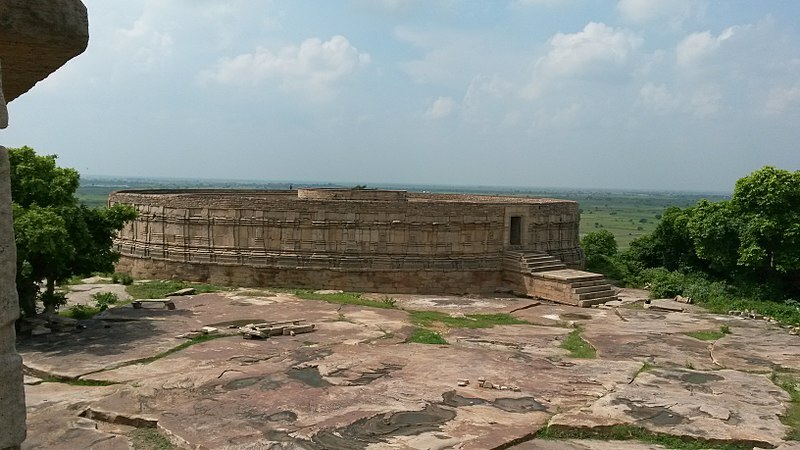 The Chausath Yogini Temple also known as Ekattarso Mahadeva Temple is an 11th-century temple located in Morena district in the state of Madhya Pradesh, India. 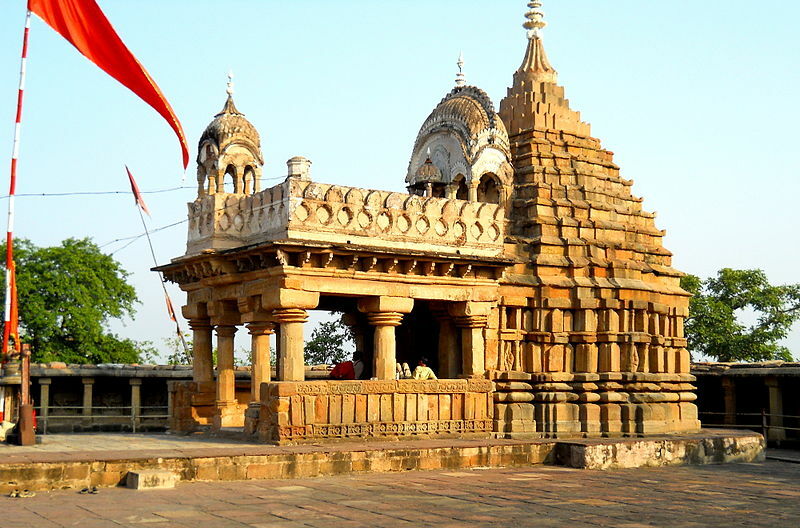 The temple is formed by a 40 m diameter circular wall with 64 chambers, a circular courtyard and an open mandapa (pillared outdoor hall) in the centre with a shrine where Lord Shiva is worshipped. Astrogeographic position of the 64 Yogini temple for morphogenetic field level 4 which describes the atmosphere and energetical topics of the temple itself: the temple is located in dynamic, centralistic, magnetic royal Leo sign of the sun, light, heart, sexuality, self-expression, royalty and power stations. The 2nd coordinate lies in self-protective earth sign Virgo sign of yoga, monkhood, hindu culture, healing and herbal medecine. 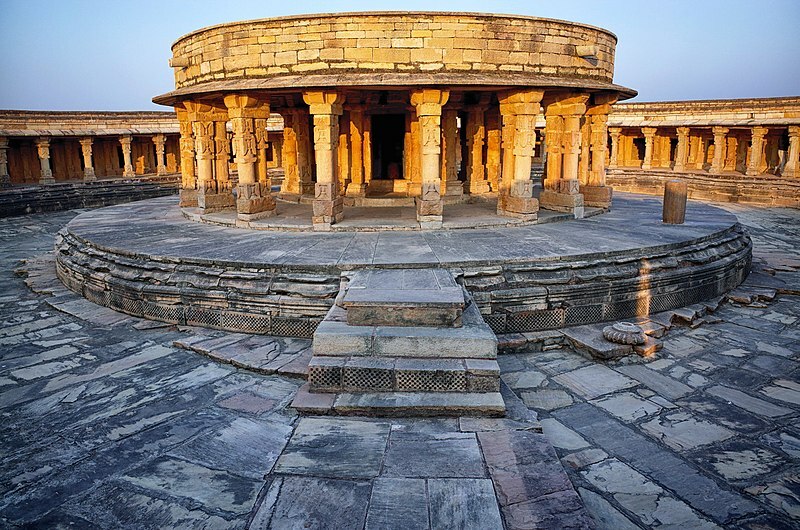 The round shape of the temple is assumed to have been dedicated to the use as a sun observatory and center of education in astrology, astronomy, mathematics & tantric rituals. The design seems to resemble the structure of Sansad Bhavan the Indian National Parliament (Lok Sabha) building in Delhi. 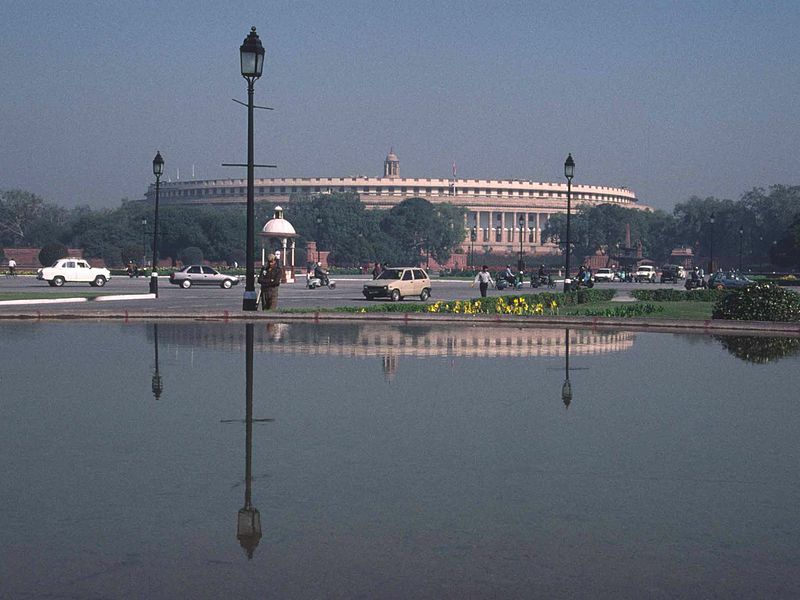 The Lok Sabha building in Delhi is located in the combination of the two water signs Cancer and Scorpio the constellation which seems to be so archetypal for Shiva and Parvati. for the shakti peethas and Shiva linga shrines. It is also present at the Gaumukh source of River Ganges – India´s largest river and also India`s holiest city Varanasi located at 7°Scorpio and 21°Cancer. 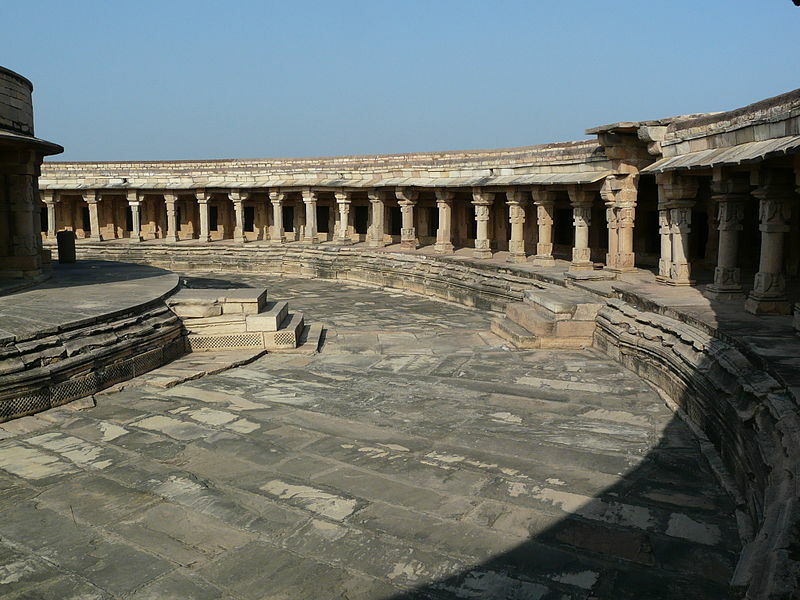 Chausath Yogini Temple of Bhedaghat is seen as one of the oldest heritage sites in India. It was built in the 10th Century AD by the Kalachuri kingdom and has a distinct resemblance to the temples of Khajuraho in structure. The temple is tdedicated to the goddess Durga along with 64 yoginis. 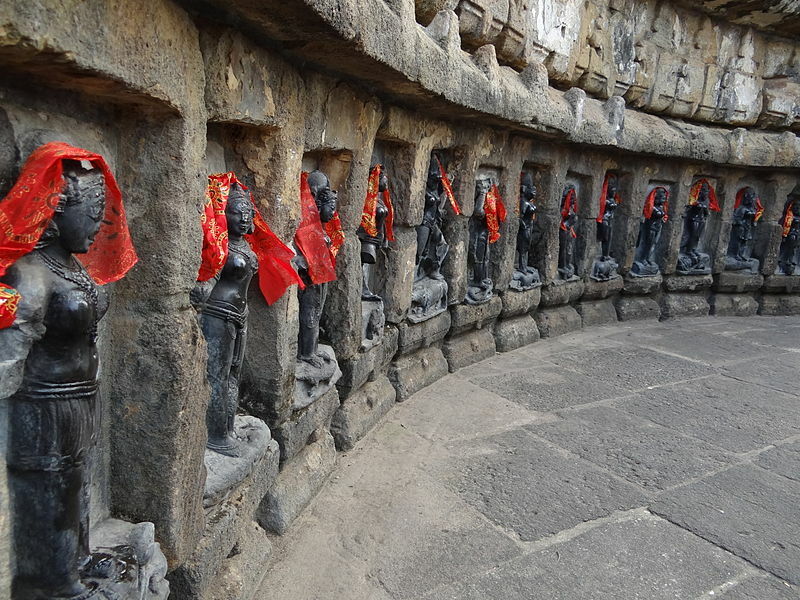 The temple complex has 95 shrines which includes 64 Yoginis in the circular ring around the inner temple, one for each yoginis and a main shrine where Lord Shiva and his consort Goddess Parvati are seen riding on Nandi, the sacred bull. The design of the temple has been kept simple but the idols of yoginis are exquisitely carved, each one depicting a unique aspect. Astrogeographic position of the 64 Yogini temple for morphogenetic field level 4 which describes the atmosphere and energetical topics of the temple itself: one coordinate is located in self-protective earth sign Virgo sign of yoga, monkhood, hindu culture, healing and herbal medecine. The 2nd coordinate strectches from female, service-orientated air sign Libra sign of harmony, balance, beauty. angels, relationship, openness in the west half of the ring temple into solid, fixed water sign Scorpio sign of perception, imaging, sculpting, defense, fortresses and a major indicator for Shiva in th east half of the temple site. 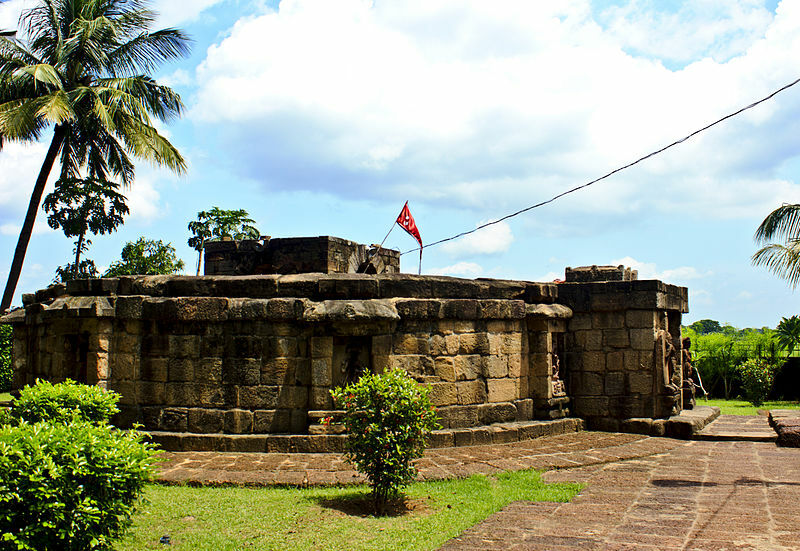 Another Chausath Yogini Mandir is situated in a village called Hirapur 20 km outside Bhubaneswar, Odissa. 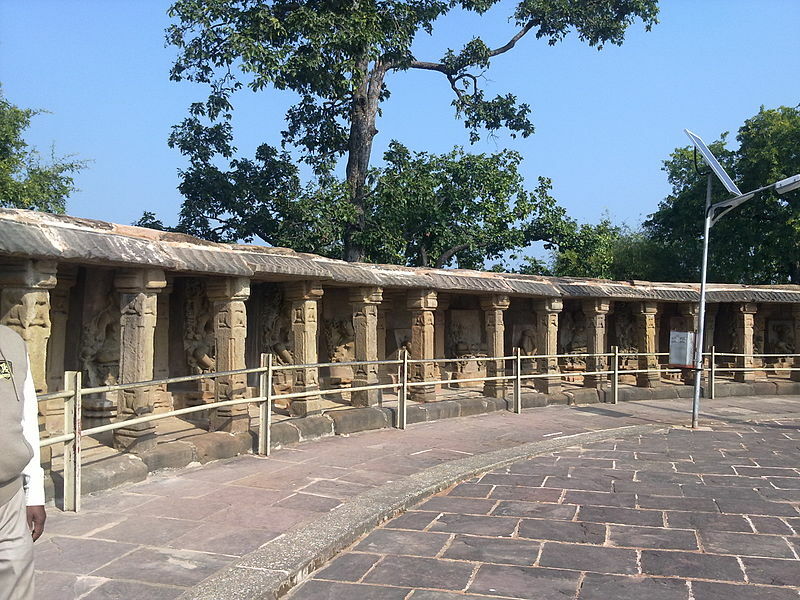 The temple is said to have been built by the Queen Hiradevi of Bramha dynasty during the 9th century. The circled temple is 11 m is diamater. 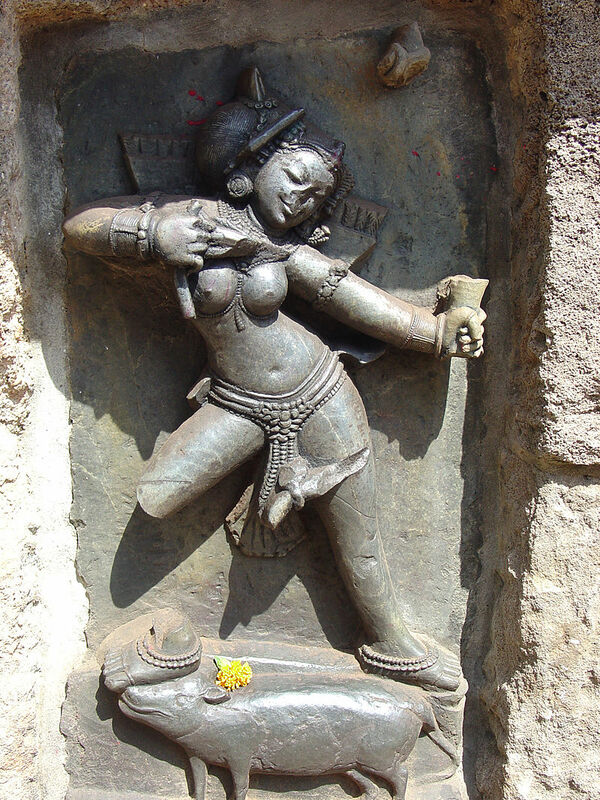 solid, fixed water sign Scorpio sign of perception, imaging, sculpting, defense, fortresses, trauma, pain, demons and a major indicator for the goddess Kali and Lord Shiva. The 2nd coordinate strectches from dynamic male fire sign Aries sign of action, speed, warfare, mobilization, ignition, new starts into solid, fixed earth sign Taurus sign of the earth, grounding, growing roots, food, money and possession of territory. 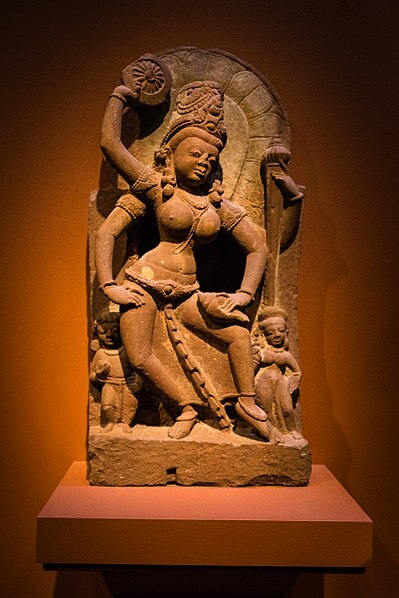 Yogini is the sanskrit word for the femininec ounterpart to the masculine yogi, Yogini represents both a female master practitioner of yoga and a formal term of respect for female Hindu or Buddhist spiritual teachers inthe yoga culture of India, Nepal and Tibet.